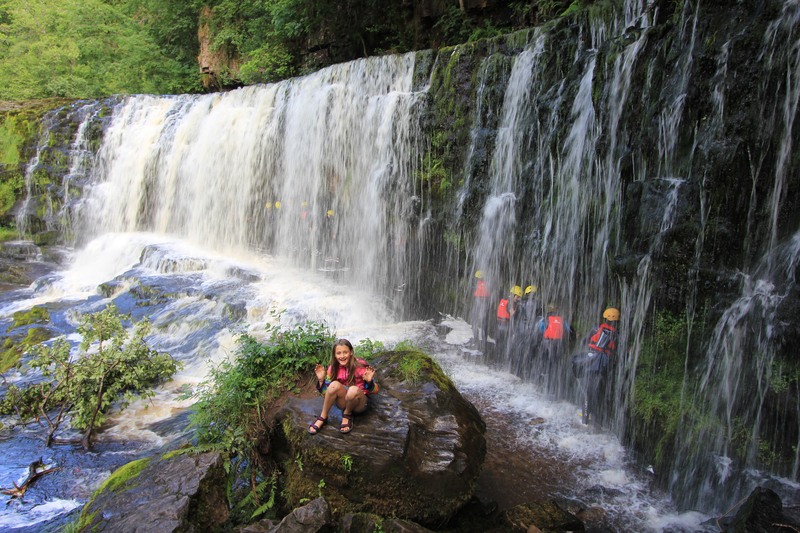 In the Vale of Neath, to the southern part of the Brecon Beacons National Park, lies the Four Waterfalls Walk. This is short walk of only five miles or so which takes in, as the name implies, four waterfalls. This is an area rich in geology, where sandstone meets mudstone and where rivers have eroded the landscape over many years. 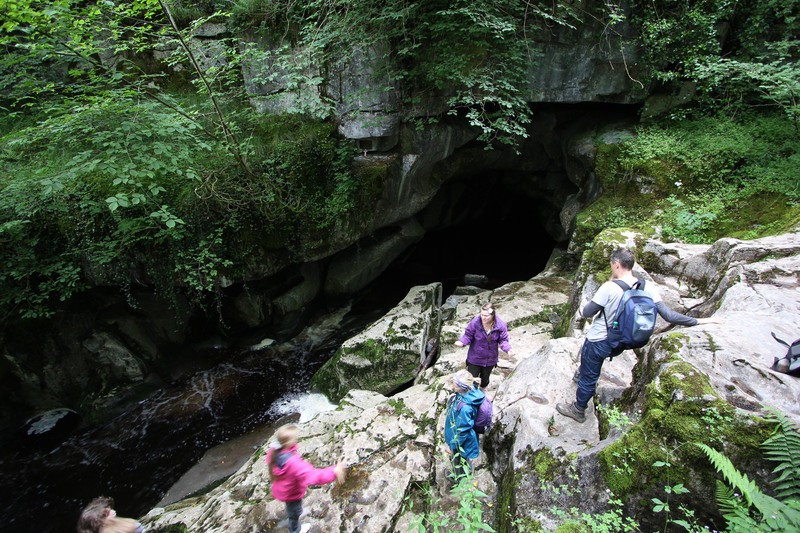 As well as waterfalls there are large cave systems running deep underground. We passed numerous entrances where rivers seemed to disappear, or where holes in rocks simply fell away into an abyss of nothingness. 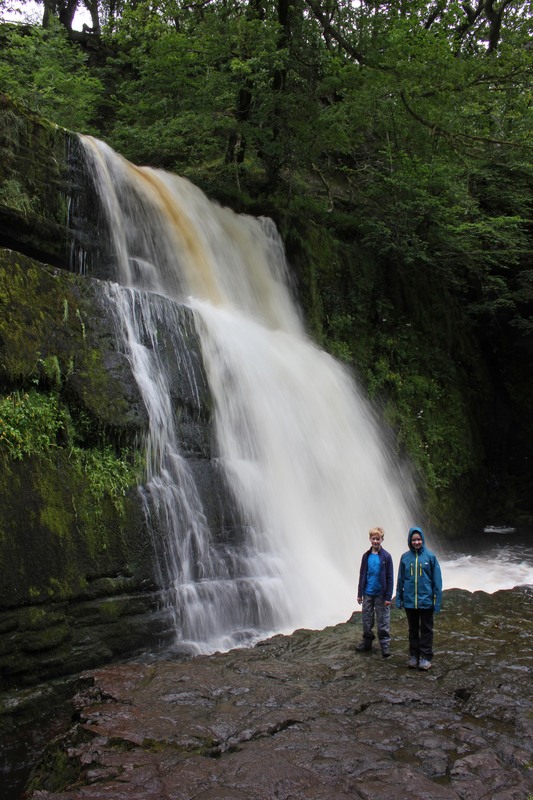 The first waterfall on the walk is Sgwd Clun-gwyn, meaning “the fall of the white meadow”. There are two tiers to it. The flat rock ledge about a third of the way down allows you to get up close and personal. At its bottom it roars into a narrow plunge pool. You can walk right to its edge. Walk on from Sgwd Clun-gwyn heading south, through the forest adjoining the Afon (River) Mellte, to where it is joined by the Afon Hepste. 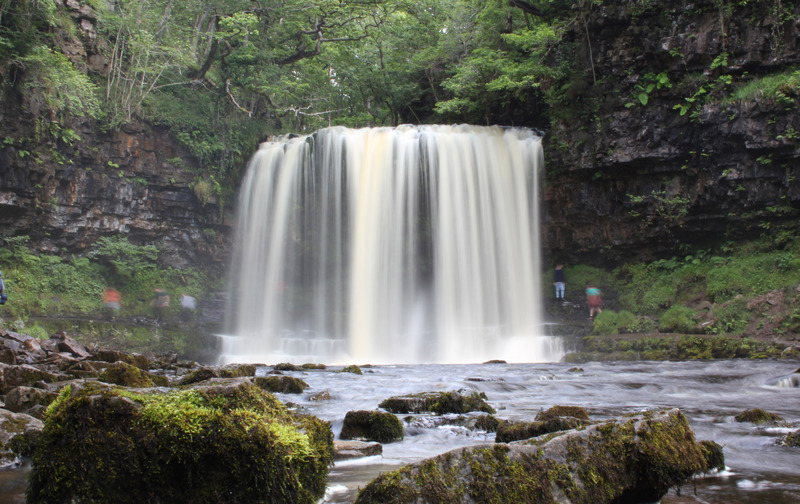 A short way up the Hepste is another waterfall, the Sgwd-Yr-Eira, meaning “falls of snow”. 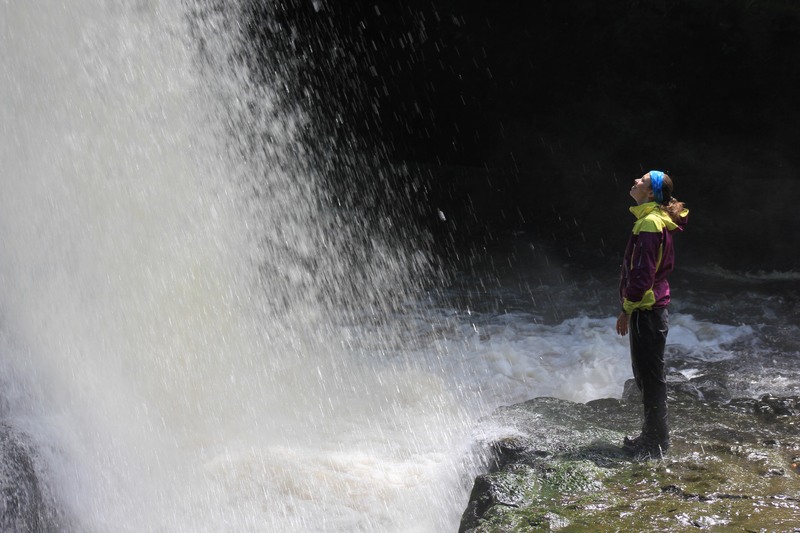 If you thought you could get up close and personal at Sgwd Clun-gwyn, well, you can get very intimate indeed with Sgwd-Yr-Eira. 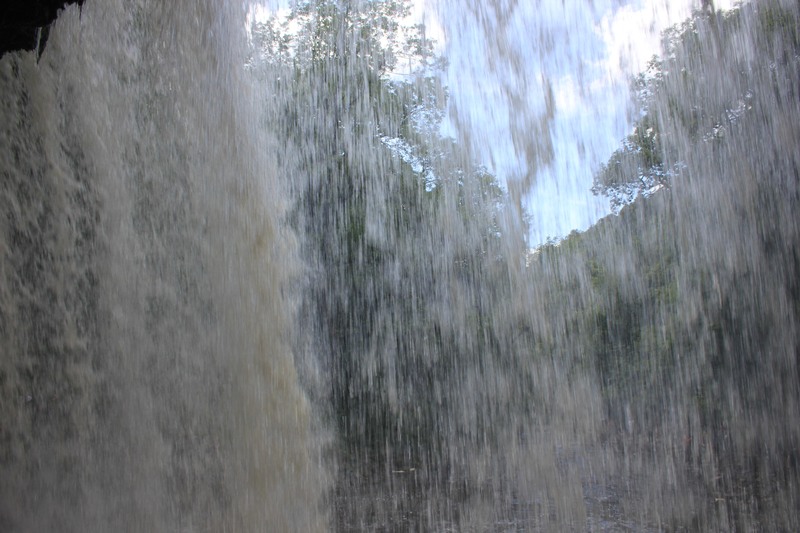 …and then look at the waterfall from another viewpoint altogether. 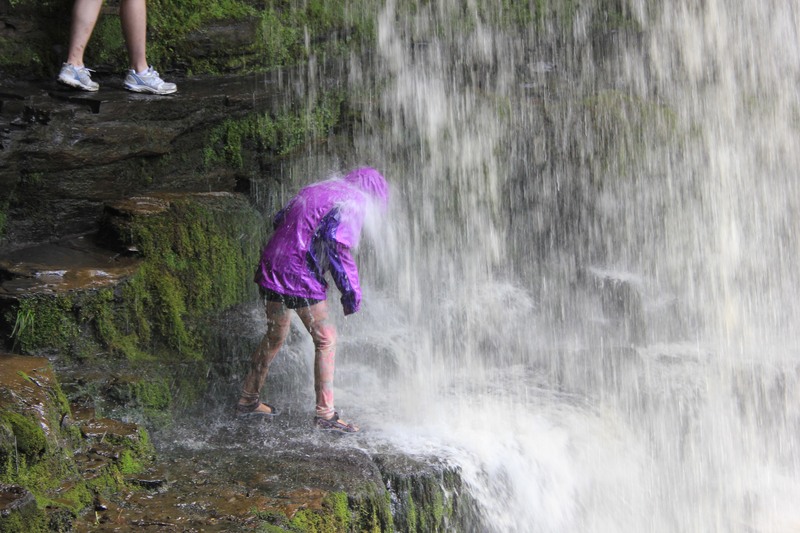 Head back up the Mellte and you will soon reach Sgwd y Pannwr, meaning “fall of the fuller”. The lip of the waterfall is so shallow that you can walk on it without really getting your feet wet, and the plunge pool below is deep enough to, well, plunge into. …but we weren’t really dressed for the occasion. Don’t do it, Poppy! 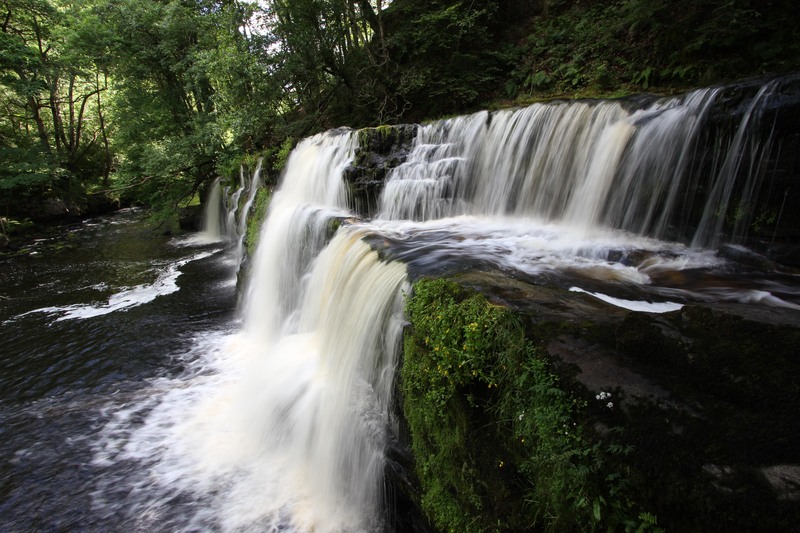 Just to the north of Sgwd y Pannwr is the final of the four waterfalls, Sgwd Isaf Clun-gwyn, meaning “lower fall of the white meadow”. 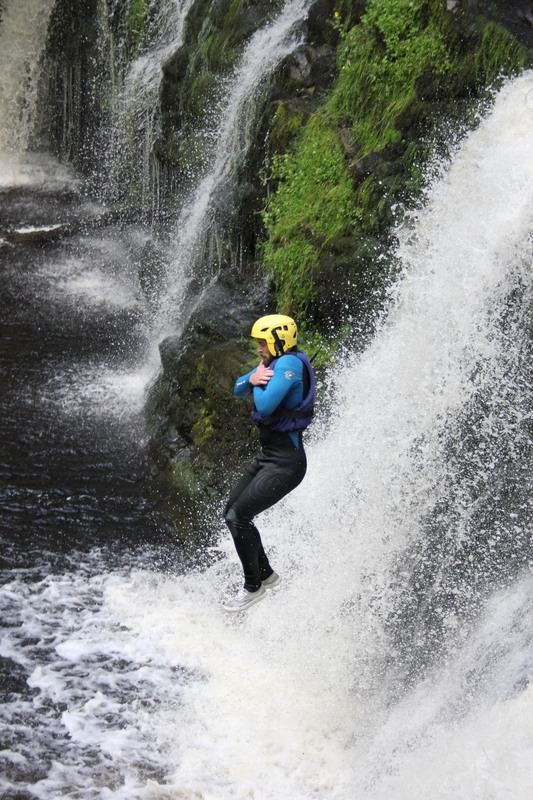 This is another one you can clamber behind, but this time you need a little more than just waterproofs. 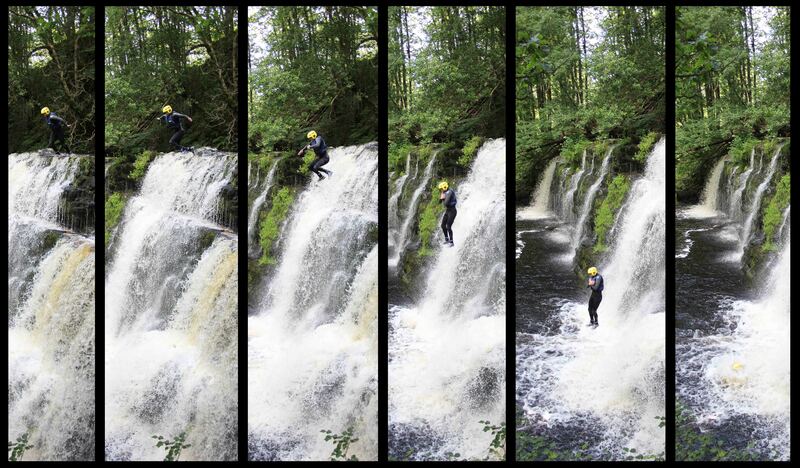 Four amazing waterfalls, all in a short walk. Well worth a visit. 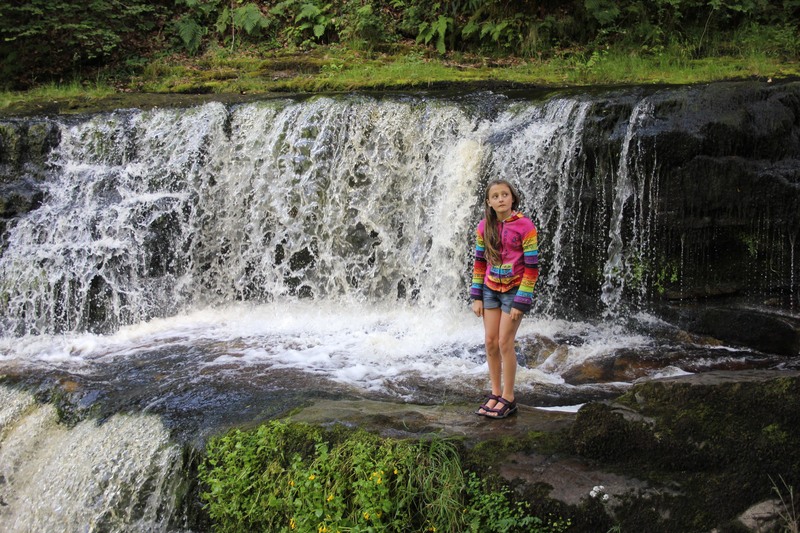 This entry was posted in Wales and tagged Brecon, travel, Wales, walking, waterfall. Bookmark the permalink. What a fantastic walk, and good to see the family with you! 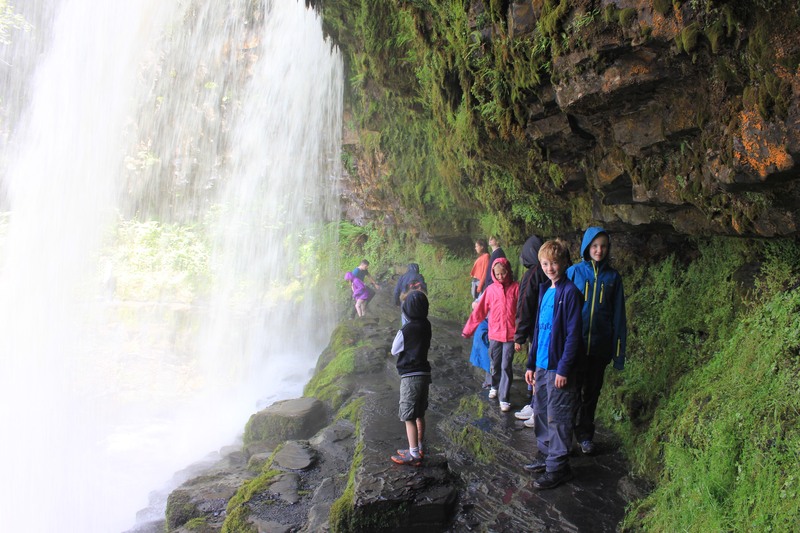 We loved the Four Waterfalls Walk even though the weather was far from ideal. 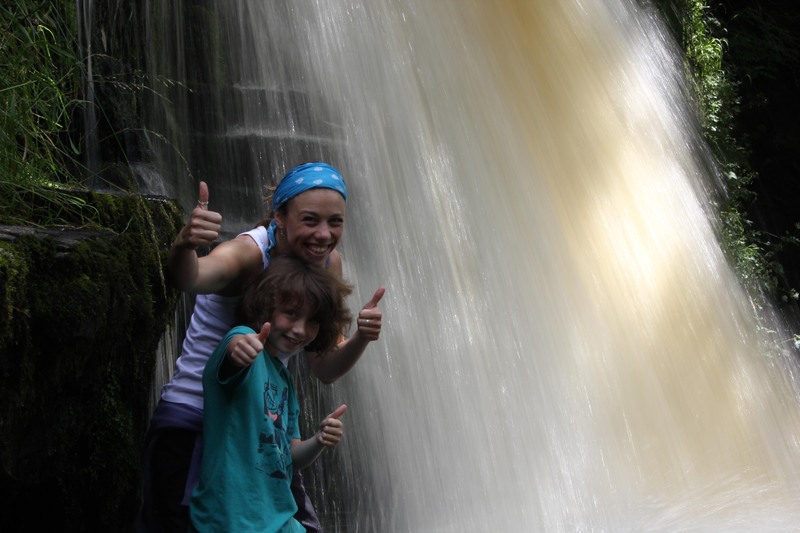 Stunning nature, majestic waterfalls and a walk I would recommend to anyone.